BusyCal is a powerful, flexible calendar app for managing busy schedules, events and to dos. BusyCal's unique features include customizable calendar views, integrated to dos, meeting scheduling, travel time, maps integration, natural language input, tags, alarms, search, weather, moons, birthdays, anniversaries, graphics and more. 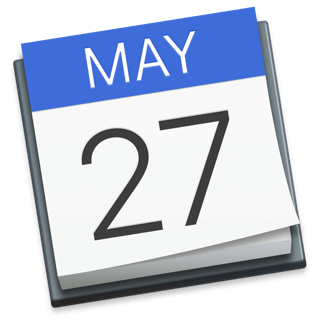 BusyCal provides reliable support for iCloud, Google Calendar, Exchange, Office 365, and other CalDAV servers, enabling you to sync and share calendars with other Macs and iOS devices running BusyCal or the built-in Calendar app. BusyCal for iOS is a full-featured mobile companion to BusyCal for Mac, the leading calendar solution for Mac OS X that thousands of users have trusted and depended on for years. • Display your calendar by Month, Week, Day or List. • Pinch and zoom to control the number of weeks shown per month, and days shown per week. • Customize the calendar appearance including calendar colors, weather, moons, birthdays, anniversaries, event times, week numbers and more. • Create events manually or automatically using natural language. • Choose from a wid range of attributes to display when viewing or editing events including travel time, time zones, attendees, contacts, tags, maps, last edit time, and more. • Add tags to events to track projects and important events. • To Dos are displayed directly in the calendar and carry-forward until completed. • To Dos can be undated, or scheduled to occur on a specific date or time. • To Dos can be scheduled to repeat daily, weekly, monthly, etc. • To Dos can be sorted and filtered by date, priority, calendar or title. • To Dos are compatible and sync with the Reminders app on Mac and iOS. • Supports Location Services for adding locations to events. • Supports both Apple Maps and Google Maps for driving directions. • Travel time allows you to block out time to travel to an appointment. • Alarms can warn you in advance of travel time when it's time to leave. • Display Birthdays and Anniversaries, including birthday age and anniversary number. • Display a live 10-day weather forecast. • Display phases of the moon. • Display graphics created in BusyCal for Mac. • Sync and share calendars with iCloud, Google Calendar, Exchange, Office 365, Fruux, Yahoo, Kerio, Zimbra, OS X Server, SabreDAV and other CalDAV servers. • Sync with other Macs and iOS devices running BusyCal or the built-in Calendar app. • Receive Inbox notifications of meetings and changes to events on shared calendars. • Search your calendar for past and future events and to dos. • Set default settings for events, to dos and alarms. * Weather Underground has retired its service. BusyCal weather updates are now powered by Dark Sky, which provides more accurate weather forecasts. First of all I really liked the app right off the bat from the description and pictures but all the bad reviews made me skeptical. Second, I am not coming from using the Mac version, I started fresh on the iOS first. I am picky on which apps I use and while I liked fantastical and calendars by readdle for functionality, I didn’t like the overlay or look of either. Having used BusyCal I think it has more functionality than the other leading calendar apps, and I haven’t had any issues in terms of stability. This Calendar is powerful and works very well, is highly customizable, and I love the look as well. My favorite part is the to-do integration and how it allows you to filter and sort your to-do’s: a lot of options here! I hope this app gets more positive feedback as I believe it deserves it. Keep up the good work devs! - the way to-dos (Reminders) integrate with the calendar itself (didn’t Apple Calendar formerly work like that?). This is incredibly useful to me because I need to see a spatially organized view of my day or week (not a uniform list) but I also like to have my to-dos in the same app, visually distinct but right there. Hard to explain but no other calendar app seems to be able to do this. - odd that I have to use app-specific passwords to sync my calendars with this app, whereas other 3rd-party calendar apps are fine just asking me for permission to access them. But it’s ok because I haven’t found any other 3rd-party calendar app that I’d care to use. -sometimes when you long press to drag an event, you get an error saying it can’t be dragged; some nonsense like “scroll to the start of the event and long press again.” Huh? Tapping somewhere else and then trying again seems to make it work. BusyCal on the Mac is great. I use it nearly every day. However, BusyCal for iOS is woefully underpowered. While it's a useful way to see all of my to-dos at once, or to get an overview of my calendar, the lack of secondary sorting for to-dos (by priority, then creation date, for instance), and the inexcusable lack of BusyCal for Mac's premier feature, filters—where you can show any combination of categories you like instantly—drastically reduce its usefulness. The filters don't have to sync with the Mac; I may want different ones on the road anyway. But this is a crucial feature that has been bafflingly absent from this app for years. If this comes as a paid upgrade or an IAP, fine. But without it, this app is not really more useful than the stock Calendar app, and only somewhat more useful than Reminders.